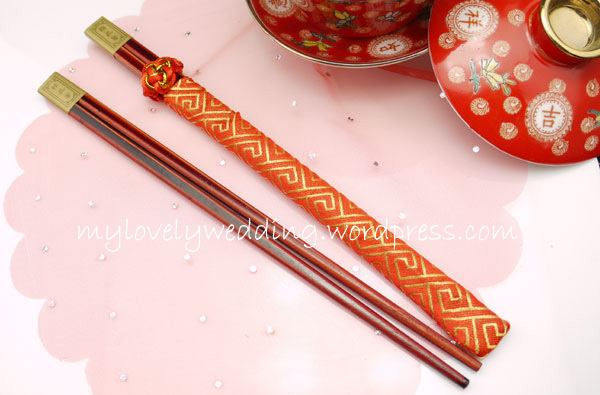 Chopstick is commonly used by Asian countries such as China, Japan, Korean, Malaysia, Singapore and others when having their meals. 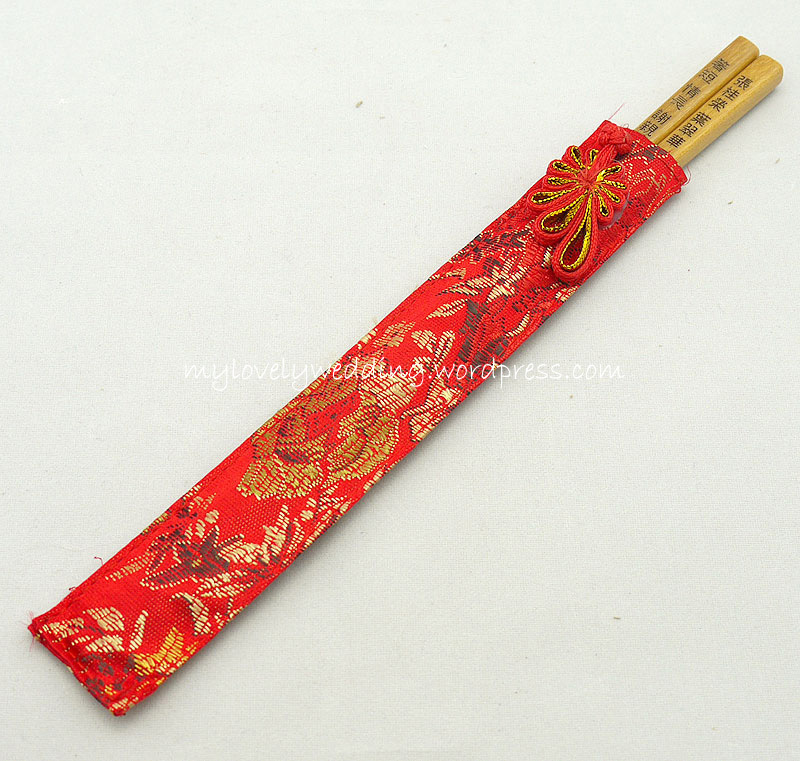 Their ancestor used to believe that a pair of chopstick is a symbolic of teamwork, perfect pair and longevity of life. “Together we stand, apart we fall”, that is the most familiar sentence we always heard. Some of our children even being taught of how to form a teamwork among their siblings or neighbours in order to prevent any bad things from happening in their housing area by using a chopstick as example. We can easily break a single piece of chopstick with our hand, but try to imagine if the quantities were double, triple, quadruple or even more. 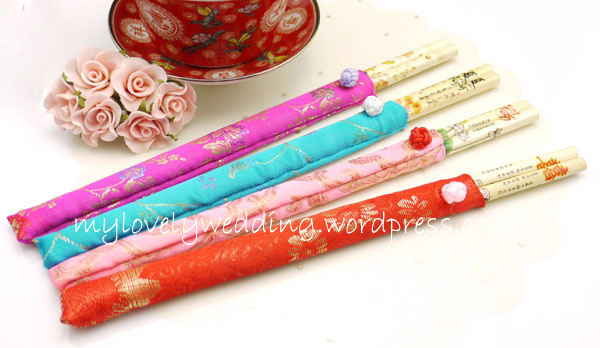 A marriage is just like a chopstick. Either one will not be happy without the present of the other one. 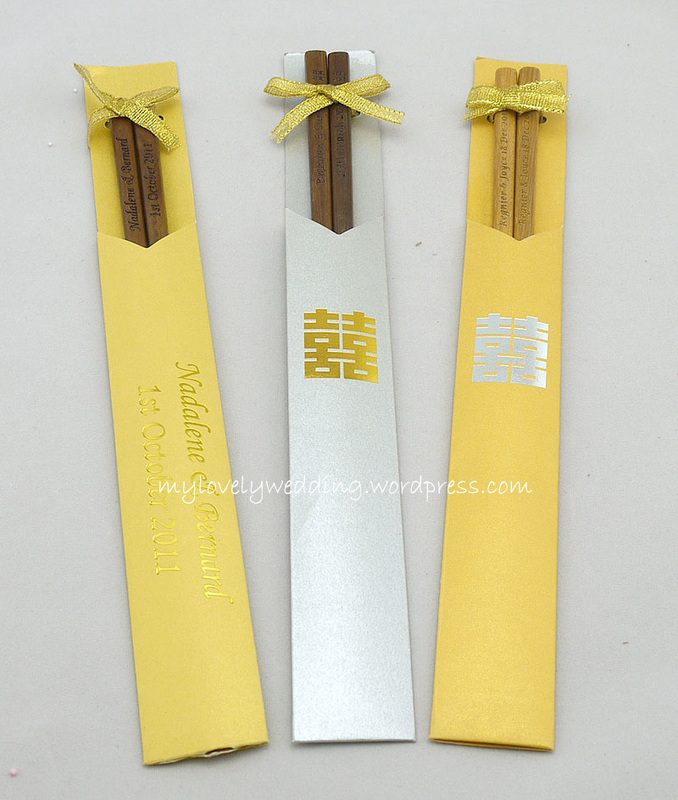 Therefore, present a pair of this meaningful chopstick to all your wedding’s guest as a wedding gift and may all of us will be blessed with happiness and longevity of life wherever we are. Hi. How much is this? What’s the min order?